Hello there, welcome!! Today's card is for my upline challenge that i participate in every month from my upline. For this months challenge we were sent DSP from the set Poetry Dsp set along with a doiley (as well as some other materials that i didn't used). With those two pieces (that i did decide to use, lol) above is what i came up with. 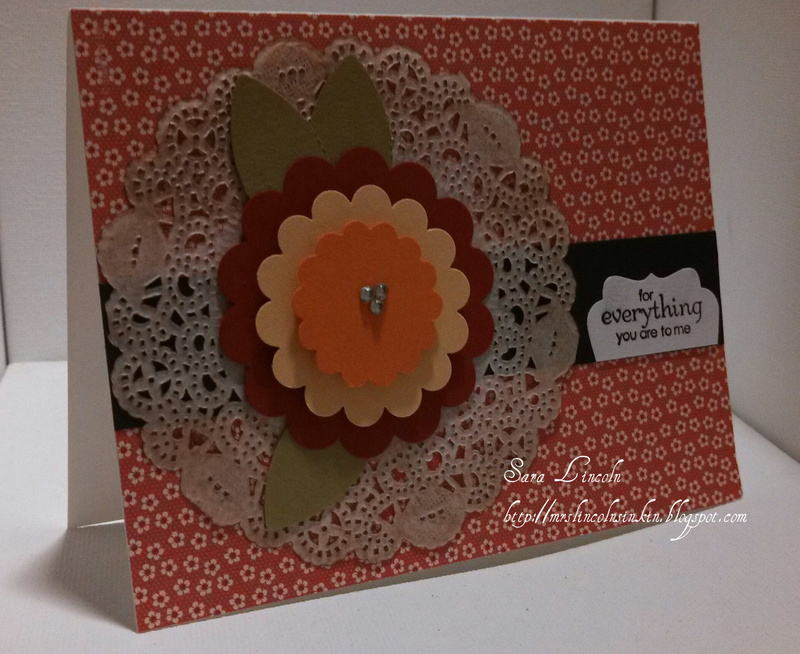 I used the Poetry DSP as my baking and then made a flower using 3 of the scallop circle punches. The 2 3/8" Scallop Circle, 1 3/4" Scallop Circle, and the 1 1/4" Scallop Circle. I used my sponge, with some Soft Suede ink, and sponged the Doily to give it more of an aged look. 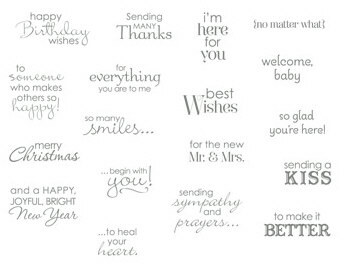 I didn't want the card to be too "busy" so i added a Basic Black strip cut at 1" x 5 1/2" and used my Decorative Label Punch to cut out my greeting from the Petite Pairs set.